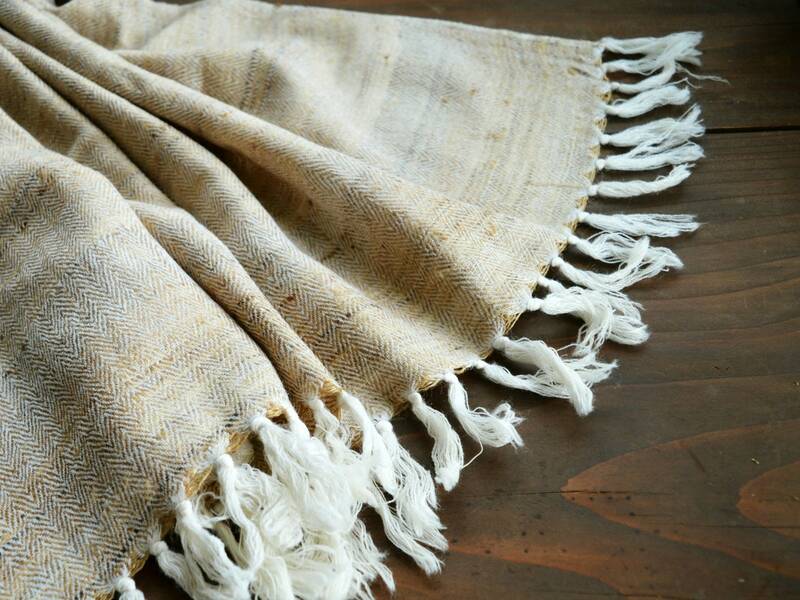 Large, luxurious silk and wool shawl, handwoven in herringbone weave. It is made of yarns in few shades of beige and ecru. The final effect is beautiful and unique. 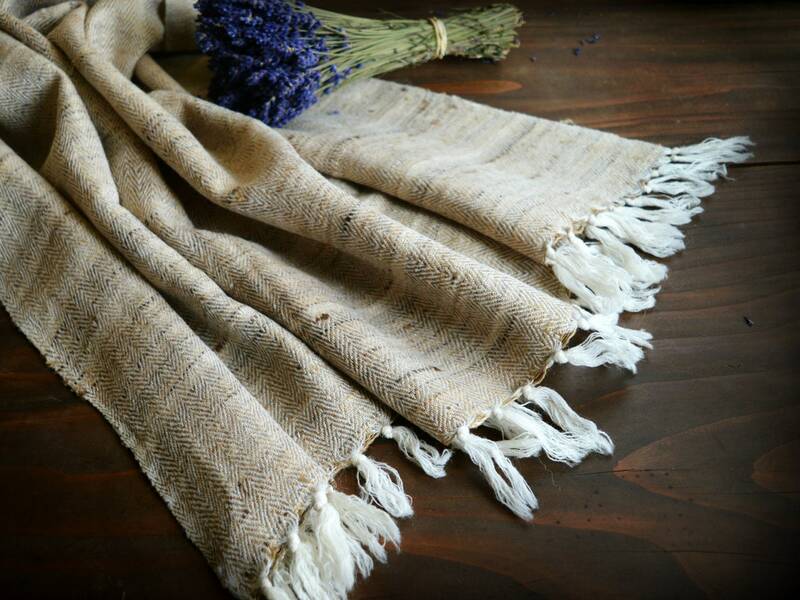 Hand woven from 100% natural silk and wool yarns. Silk for weft and wool for warp. Ecru and shades of beiges.